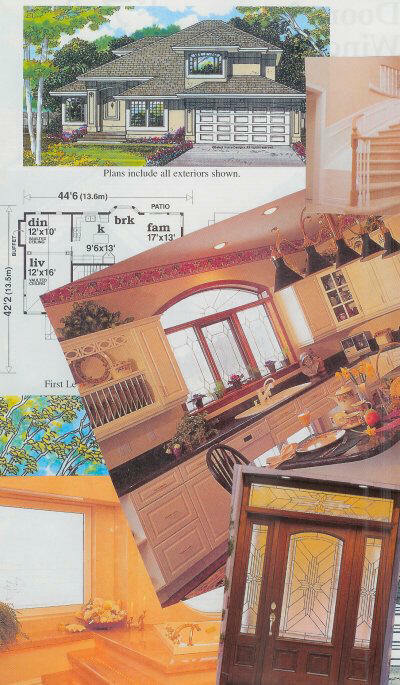 Our custom home package projects start several different ways. Almost always, they need some drafting assistance with their plans to accommodate their current desires or to fit the actual lot they have purchased. Some already have a plan, purchased from an architect or plan service. Others, come with literally piles of clippings, sketches, and notes representing years of thinking about what they want in their dream home. Either way, our reps know how to organize this information, many times after personally inspecting your building site, for our Drafting Service department. Most of our Reps will use a CAD program called Chief Architect® to actually draw your ideas and revisions to scale prior to sending the information to PMHI. Based upon the size of your home, you will have a firm price quote for your Drafting Service and Structural Engineering charges prior to any work starting. Whether you want to reverse or expand the garage on your current plan, or enlarge the master bathroom....we can complete the plan to your satisfaction. Or, if you need all of your ideas organized into the actual home plan of your dreams....we can do that too. Simply, Contact the PMHI rep in your county for an explanation and quote on the cost of this service. If you live or plan to build out of our areas of local representation, use our Web Order Home service. Either way, you will have the plans you need to build the home you want, including structural engineering calculations if required by your local building officials. Upon completion of the plans, we will give you a quote for packaging the framing for your new home, too.